The second WMOT studio, from 1975 to 2012 in the Learning Resources Center. WMOT has been doing that for exactly fifty years as of Tuesday. The station will celebrate its birthday with a three-hour live broadcast from the campus of Middle Tennessee State University, which launched WMOT as a student-oriented station on April 9, 1969. The special will run from 4 pm to 7 pm and feature live sets by indie-folk artist A.J. Croce, Memphis roots rocker Liz Brasher and soul country songwriter Adam Wakefield. Besides the audio on the radio station, video will stream at VuHaus. As part of the show, we’ll broadcast my long-form audio history of the station. Listen to that here or read a version of the review below. Listen to the full audio report surveying 50 years of WMOT at MTSU. But there wouldn’t have been a 100,000 watt jazz station without the 780 watt mixed-format so-called educational radio station that went on the air in 1969. 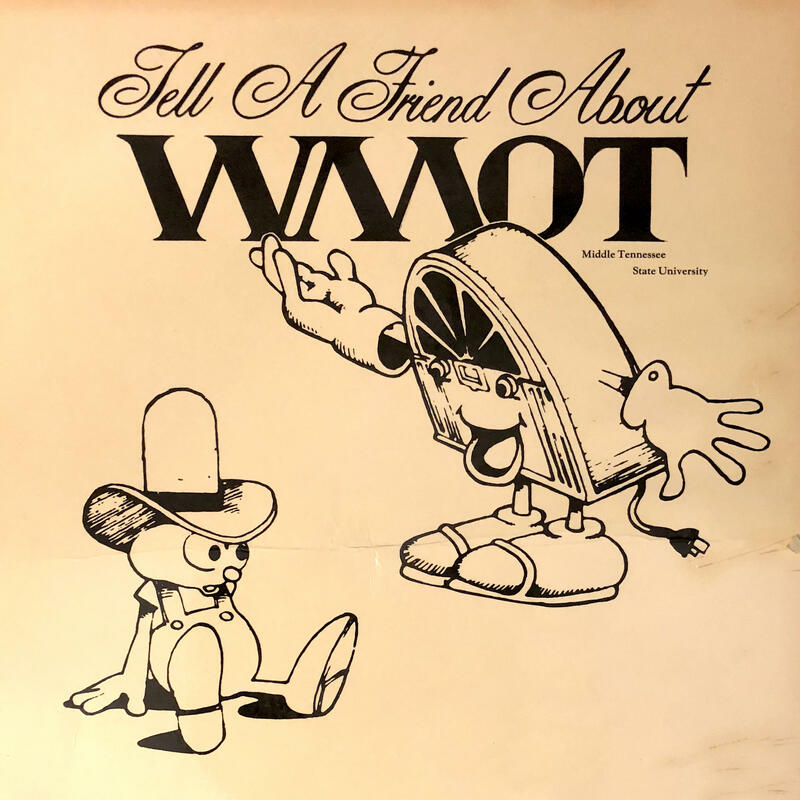 WMOT served the campus and the local community with what its publicity referred to as “quality rock” or “sophisticated rock.” The goal, according to news clippings, was to offer an alternative - a younger, cooler alternative, to the classical music format of WPLN in Nashville. That could be an unofficial motto of National Public Radio, which was established by the Corporation For Public Broadcasting in 1970. WMOT, one of the earliest members of the network, began decades of airing NPR shows like Morning Edition and All Things Considered that July. But day in day out, it was a station programmed and produced by students. Besides NPR status, the other major landmark from the first two years of WMOT’s life was getting a license to broadcast at 50,000 watts over a new 300-foot tower. By the end of 1971, thousands more listeners across 85 square miles could hear the pulse of the MTSU campus. Including future program director Greg Lee. 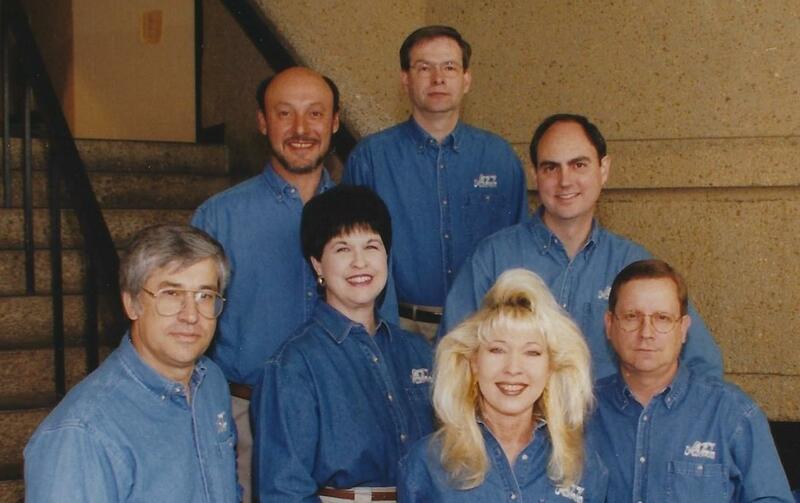 Three of the 1990s Jazz 89 crew from the back row - Greg Lee, Gary Brown and Randy O'Brien - are still with the station. “I knew about it before I was (an MTSU) student because I listened at night. WMOT was pretty hip at night. They played soul and R&B,” Lee said. Hearing that mix of music as he came of age in Tullahoma was the direct inspiration for Lee’s Friday evening show today on Roots Radio called Bel-Aire Drive. As an MTSU English major he had no aspirations to work in radio but got persuaded to sign up for a show late in his senior year. He kept a late night show up for years while working professionally in commercial radio. And when the program director job came open in 1989, it went to him. By that point, WMOT had been devoted to jazz programming for nearly ten years, and Lee continued the station’s ever-deeper integration into the area jazz scene. The station’s remote van was out in the field constantly, broadcasting or recording performances at venues like Cheekwood or the Murfreesboro Main Street Jazz Festival. Lee brought on exceptional area pianist Beegie Adair to host the show Improvised Thoughts, a showcase where she talked and played with local and national talent. The WMOT van trooped all around middle Tennessee for years for remote broadcasts. After turning it in to the MTSU motor pool for repairs in the 1990s, the staff was surprised to discover it had been retired, compacted and sold for scrap. The last obstacle to being that full service station in Nashville proper fell in 1996, when years of effort by chief engineer Gary Brown let the station bump from 50,000 to 100,000 watts. “Once that was granted we were able to move our transmitter site from the campus here over to Gladeville, which was halfway between Lebanon and Nashville, and that expanded our audience from just Rutherford County to quite a few counties and especially Nashville,” Brown said. The format became an issue though by 2015, when several years of mixing NPR news, classical by day and jazz at night wasn’t really working with anybody. That’s when College of Media and Entertainment Dean Ken Paulson took his knowledge and appreciation of Nashville’s Americana community and applied it to a total re-think. The new format - dubbed Roots Radio - went live on Sept. 2, 2016. 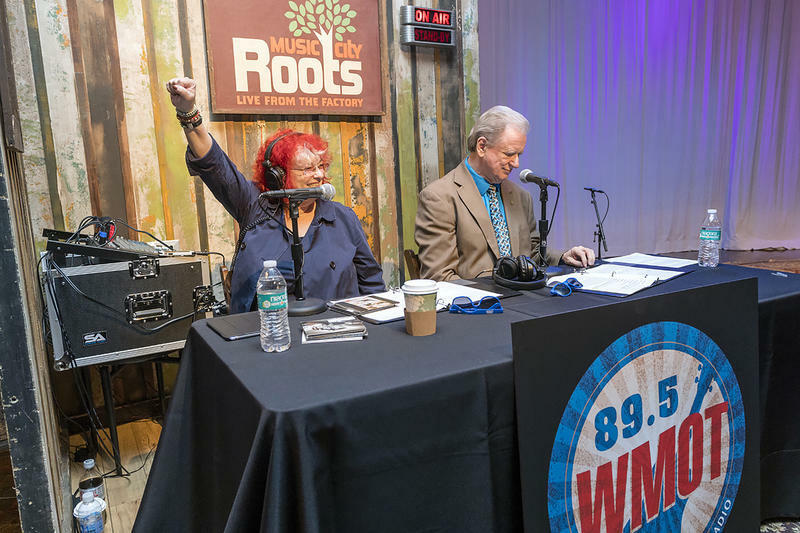 WMOT switches format to Roots Radio's Americana playlist with Program Director Jessie Scott and iconic country music DJ Keith Bilbrey.